Inca & Sedoso genetics in color! Reducing prices on select males to free up shelter space before winter. These prices won't last. If I have to build another shelter, prices will revert to the previously listed prices. 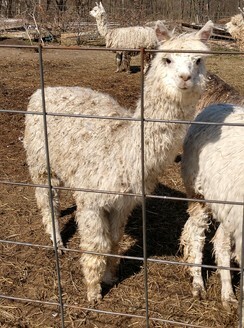 Mo is an excellent breeding male, whose first crias were reportedly stunning. 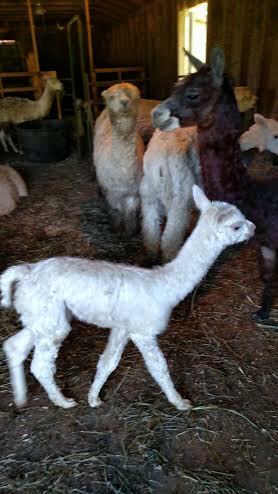 Mandy is a lovely young breeding female who is the last daughter of the very first suri I ever bought. 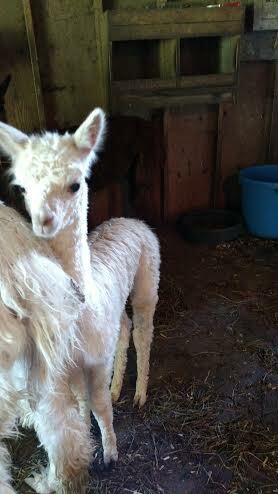 Mandy's mom was my premier breeding female and produced for me absolutely stunning offspring. Mandy's sire was an exquisite champion macho who produced one of the most feminine and stunning females in my current herd. Halo is an adorable girl with a charming personality borne on a perfectly conformed frame. She has very nice fiber, with excellent lock and luster. She has her sire's elegant presence and confidence, and I expect that she will be a superior show prospect as she matures. She is maturing nicely, with great bone and proportion. She is very sweet and curious. At a year of age, she is nearly as large as my two-year olds.